There are many sites on the web offering RV Sharing services. With an RV Share service, you get the experience of dealing with private RV owners that take great care of their RV's. Not an RV rental dealer that has only profit in mind. Many private owners just want to help make their payments. An RV Share can be much cheaper. 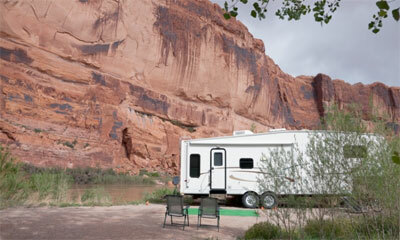 With LuckyRV.com you'll be able to search, filter and find the perfect RV rental from a private owner. 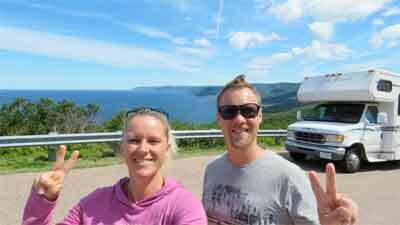 RV Sharing is a great way to rent. Why would you consider sharing your RV with strangers? As an RV rental service of 8 years, we can tell you that 98% of our renters are the best. We've had very few issues and with a security deposit, we've always been compensated for these issues. We are making money right now... and I'm sitting here in the comfort of my air conditioned office writing this article. It's the best way to make money. If you just want to help make your payments... You will shocked at how much more you will make. LuckyRV.com brings the renters to you. We have the BEST Reservation management system on the web, you'll be able to screen renters before you approve the rental, you'll collect a cash security deposit you can use for damages and your insurance will compensate for any damage over the deductible. As with any service you choose, you are not signing an exclusive agreement with them. Other services are charging from 25-35%. We are charging as low as 3.25%... this is kind of a 'No Brainer'. In fact, we encourage you to list your RV everywhere you can, then bring them to LuckyRV.com to complete the reservation. This will save you thousands and you will get more coverage. The other issue is insurance: Many other services are offering an 'Included Insurance'. Always remember the cliche': 'You get what you pay for'. These so called 'Free RV Insurance' programs come with many hidden loop holes that favor the insurance underwriter. ie: You must have your tires inspected by a tire reseller before each rental. RV must be inspected by a license RV repair shop. And on and on. LuckyRV.com will refer you to our insurance provider and they will write a custom policy to suit your needs. We had many years of experience with insurance and we are confident in our Underwriter.